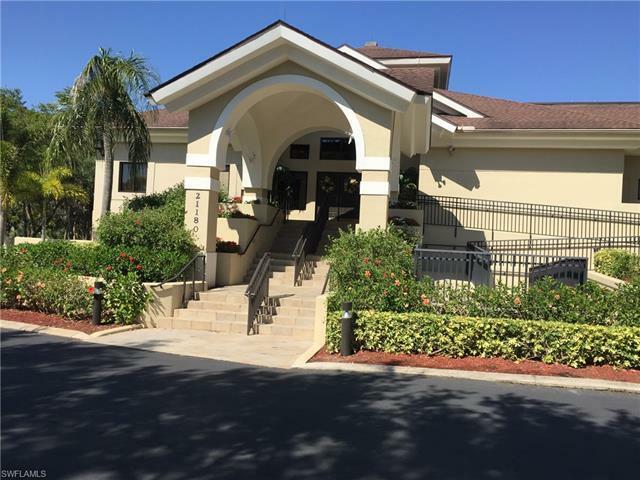 This lovely second floor two bedroom plus den unit offers a beautiful golf course and lake view. The unit comes turnkey furnished and ready to immediately enjoy the country club lifestyle of Country Creek with it's beautiful golf course, clay court tennis, bocce ball, five community pools and a stunning clubhouse with restaurant, grill room, exercise facility and well stocked golf pro shop. Country Creek sits in the middle of bustling Estero with it's two regional malls, outlet mall, Florida Gulf Coast University and Hertz Arena.